A suspected drunk driver is facing charges after crashing through a fence on the northwest side. SAN ANTONIO — A suspected drunk driver is facing charges after crashing through a fence on the northwest side. Police say the woman was driving on Tezel Road, just after 12:30 a.m. Thursday, when she went off the road. She crashed through a fence and ended up in a shed on Autumn Shadows in a nearby neighborhood. 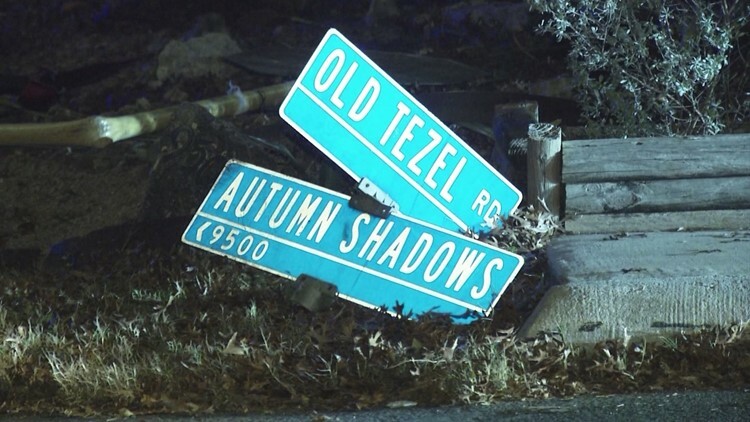 Her car knocked over the street sign of Old Tezel Road and Autumn Shadows. She was arrested on suspicion of DWI. No one else was hurt.